WHY use Green Products from Alltech? There are 22 printer cartridges thrown away every 60 seconds-8 of them are in the U.S.-for a total of nearly 700 million annually. The “paperless office” has actually resulted in the desktop printing market increasing by 20% each year. For every $1,000 customers spend this year on their “paperless office”, they will spend $1,200 next year. 160 countries, including all of the other industrialized nations, have signed the UN Convention on the Control of Trans-boundary Movements of Hazardous Waste—except the U.S.
Why Should You Use Green Products from Alltech? A typical toner cartridge weighs approximately 3 pounds and is made of 40% metal, 40% plastic and smaller amounts of rubber, paper, foam and toner. Plastic is made from engineering grade polymer and takes approximately 1,000 years to decompose. 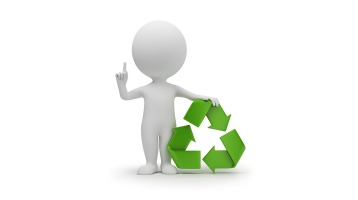 Using locally remanufactured toner cartridges reduces pollutions and waste by decreasing the amount of materials disposed of in landfills. Each time a new ink cartridge is made 3 quarts of oil are used; however, using recycled cartridges avoids this. Compatible remanufactured ink and toner cartridges cost 30% to 60% less than Original Equipment Manufacturer (OEM) cartridges. When you use Alltech for your toner needs, you are not only helping the environment, but saving money as well. You can place your next order HERE.